BIO: Pablo Godel is Co-founder and CTO of ServerGrove, PHP & Symfony developer, and contributor to many open source projects. Back in the 90s he originally founded the PHP mailing list for spanish speaking developers. In his leisure time he likes to spend his time with his family, travel and sailing. ABSTRACT: Web applications are becoming increasingly more complex, so deployment is not just transferring files with FTP anymore. We will go over the different challenges and how to deploy our PHP applications effectively, safely and consistently with the latest tools and techniques. We will also look at tools that complement deployment with management, configuration and monitoring. 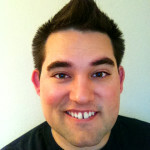 BIO: Justin Carmony has been programming professionally in PHP since 2005. He lives in Ogden, Utah where he currently is a Director of Development for Deseret Digital Media, a local media company that runs some of Utah’s largest websites. In the past he has worked for CEVO, a video game company that runs hosted online tournaments for companies like Dell, nVidia, DirectTV, and others. 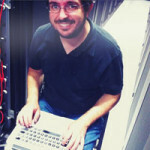 He currently is the President of the Utah PHP Usergroup and helps the Utah Open Source Foundation. ABSTRACT: “Well, it works on my machine.” These dreaded words are team’s worst nightmare. Sure it works on your machine, but fails miserably in production. Hired a new employee? Don’t spend his first week just trying to get the code to run on his machine correctly. Come learn about the great tools available for automating your local development environment. We’ll discuss tools like Vagrant, Puppet, Chef, and Salt to quickly automate and share a development environment with your team. Have a “unique” setup in production? Mirror all the exact same complexity in your local environment and avoid having it “only break in production.” By the end of this presentation, you’ll know the tools and tricks for helping speed up your own team’s local environments, matching your production environment with your local environment, and quickly share these environments with others. 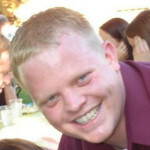 BIO: Jeremy Kendall has been dabbling in PHP since 2001 and has been developing professionally since 2007. Jeremy spent the first few year of his professional career working with large frameworks, but has since moved in the micro-framework direction, with special attention payed to Slim and dependency management with Composer. Beyond the simple pleasures of daily web development, Jeremy has developed a passion for testing, a love for best practices, and the desire to share that knowledge with others. Toward that end he was the founder of the Memphis PHP user group and organized that group for two years. 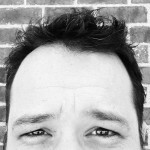 Jeremy has since moved to Nashville, TN and is getting involved in the PHP community there. ABSTRACT: Managing dependencies and third-party code in PHP applications is a daily challenge, keeping everyone on the same versions during development and at deploy time a struggle. Meet Composer, a tool designed to help you maintain a consistent set of dependencies as well as share and discover new libraries. Let’s see how you can use this tool in your Applications and Libraries to wrangle your dependencies with a simple json configuration file and a command line interface. BIO: Jeremy is a PHP software engineer at Amazon Web Services in Seattle, WA, where he works on the AWS SDK for PHP and strives to make it easier for PHP developers to work with the cloud. Outside of work he likes to hack on personal and open source PHP projects, spend time with his family, make funny faces, watch movies, and eat yummy food. ABSTRACT: Amazon Web Services offers a complete set of infrastructure and application services that enable you to run virtually everything in the cloud. These services each have an API, and that allows you to control your resources through your programs and scripts. I’ll introduce you to some of the infrastructure and deployment services like Amazon EC2, AWS CloudFormation, AWS Elastic Beanstalk, and AWS OpsWorks, and show how you can provision servers, and even entire application stacks, with PHP using the AWS SDK for PHP.